How do I get to Belgrade? Belgrade’s main airport is Nikola Tesla Airport, located in Surčin, 18 km away from Belgrade’s city centre. There are connections from all main European cities. The main international roads going through Belgrade are E-70 and E-75. It is necessary to pay on several tolls on your way to Belgrade. As the local roads may lack of sufficient road signs, you should use a navigating system. The connection to the city centre is available via public transportation with bus line nr. 72 which runs twice an hour and takes you 30-40 minutes. Taxis are easily available at Belgrade airport. There is also a city service TAXI INFO desk where you can take a taxi receipt with the name of your destination and appropriate pricing for the taxi service. The average taxi’s price to the city center is around 1,000 Dinars which is equal to 10 €. Belgrade’s public transport consists of a network of bus, trolleybus and tram routes. Tickets can be bought in the transport vehicle from the driver or conductor as well as at kiosks that are marked with a ticket sales sticker. The bus lines run every 3 to 30 minutes at daytime, whereas the night lines run every 30-60 minutes. The closest tram/bus stop is called “Karađorđev Park” (Карађорђев парк). Take bus 78 or Tram 9 (direction Banitsa) and get off at the named stop (should be the 4th stop). Walk against the direction you came from and turn left on the first corner. Then you need to turn left again and walk along the street “Dr Subotića starijeg (др Суботића старијег)” until you see the university’s building on your right. The walk from the bus station to the venue is about 5 minutes. You can also walk from the Train station, as this would also take you only 12 minutes. From 6 am until 10 pm it starts around €1,40 and the kilometre charge is 50cent. From 10pm until 10am the rate also starts around €1,40, but the charge per kilometre is around 70c. Taxis can also be stopped on the street but be careful to not catch an unlicensed taxi. In order to prohibit this, you should make sure that the taxi has a company board or unique number on the roof, a taximeter and a registration plate with the letters TX at its end. What is the typical climate in Belgrade? Belgrade has a moderate continental climate, with hot humid summers and cold winters. In the time from April-October you find the sunny months in Belgrade. The daily temperature in July will be between 17 and 28° which results in a daily mean of 23°. The main language in Belgrade is Serbian. But English is widely spoken as well. Especially in restaurants, bars, shops and other public places in the city center, you can perfectly communicate with English. Serbian belongs to the Slavic languages and besides the latin script, Serbian is also written in Cyrilic. The official currency is Serbian Dinar (RSD, РСД). The exchange rate is around: 1 € = 117,60 RSD. For your exchange of money, you should turn to specialized banks or one of the many exchange offices. Exchange machines accept Euro, US dollars and British pounds. Dinar is used in denominations of 10, 20, 50, 100, 200, 500, 1000 and 5000. The latest exchange rate from Euro to Dinar can be checked here. Of course you can purchase your money also directly from an ATM, which you usually find in major malls and public places. Most international credit cards (Eurocard/Mastercard, Visa, American Express) are also widely accepted. Belgrade is in the Central European Time Zone (CET). In the winter months clocks are set at GMT + 1 hour and in the summer (March to end of October) GMT + 2hours. Electric sockets in Serbia have a voltage of 220 Volts and a frequency of 59Hz. Adapters may be needed. The human brain is a multi-level and highly complex system that produces, processes and transmits information in an unique manner. Researchers and scientists from all over the world strive to decode the mechanisms underlying this unique system. The European Human Brain Project plays a pioneering role in neuroscience research, uniting experts from various fields in the aim to build a collaborative platform for computational neuroscience. This event is open to the entire scientific community but especially targets early-career researchers. 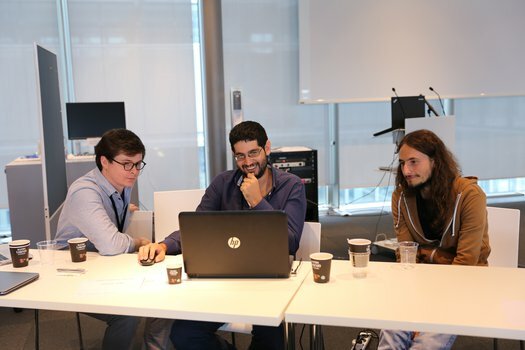 The programme provides an overview of interdisciplinary efforts towards collaboration for the advance of digital neuroscience and offers ample opportunities for participants to exchange information and knowledge with peers as well as renowned experts. Participation in the event is free. Please note that registration is required as the number of spaces is limited. If you already have an HBP account, you can directly access registration via the button below. Please use your HBP credentials to log in. If you are not an HBP member, request an invitation by sending a short email to support@humanbrainproject.eu. If you are an HBP member, please contact your SP manager. You can also be invited by a current HBP account holder. After sending your request, you will receive an invitation to join the HBP Collaboratory and create an account. Use your log-in details to access the registration after clicking the button below. If you experience any problems with the registration process, please contact the event organisers at education@humanbrainproject.eu. The Young Researchers Event 2019 will take place at the University of Belgrade, Faculty of Medicine (UBFM). The venue offers a big ceremonial room where all the main agenda points of the event will take place. Additionally, there are two smaller rooms that will be used for hands-on sessions. The University of Belgrade is the leading institution of higher education in the region. Its Faculty of Medicine is only 12 minutes of walking from the main train station of Belgrade (Beograd Centar-Prokop).